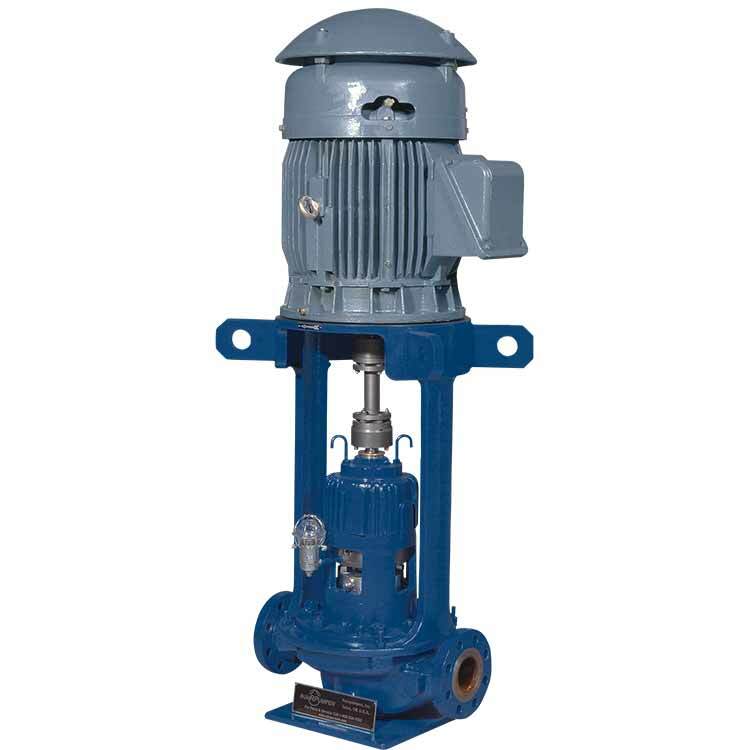 The SPI model is a heavy-duty, vertical in-line, single stage, single suction centrifugal pump designed in accordance to the latest API 610 (OH3 type) standard. Ruhrpumpen's SPI is a vertical, single stage, single suction, in-line centrifugal pump in accordance to API 610 latest edition (OH3 type), with mechanical seal chamber in accordance with API 682. It is suitable to be mounted directly into the piping, supported by an integral compact mounting foot. The SPI pump is designed to handle a wide range of process fluids and has one of the broadest hydraulic coverages in the industry.